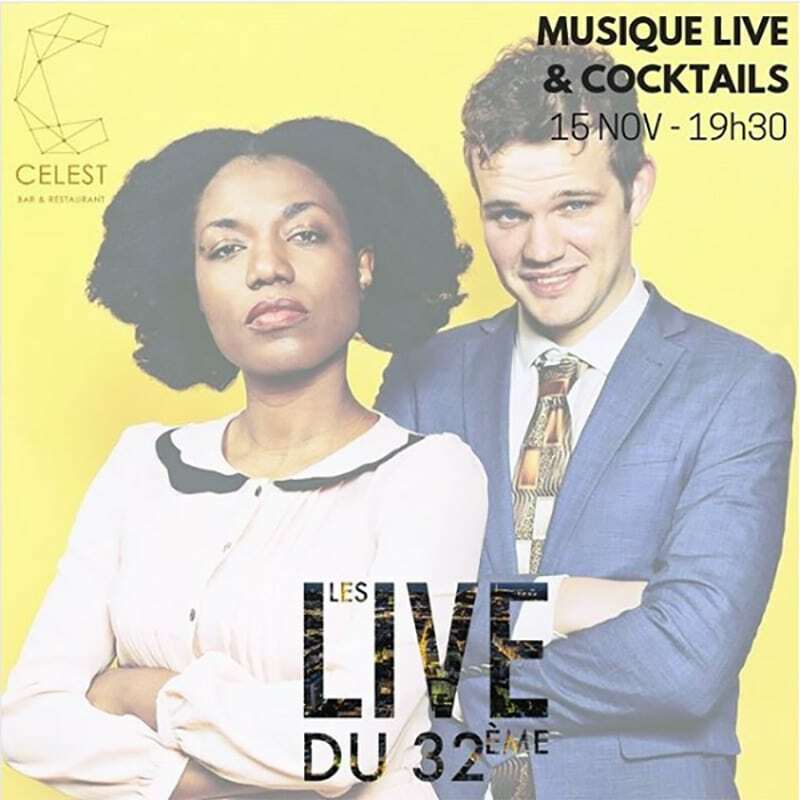 Here comes the brand-new monthly event of the Celest Bar & Restaurant: “Les Live du 32ème”! One Thursday per month, on the 32nd floor of the Part-Dieu tower (known as “Le Crayon” in Lyon), an amazing musical evening will take place at the Radisson Blu Hotel Bar. Guests will have the opportunity to taste new winter cocktails concocted by Loïc Duschene, Celeste bar talented young Chief Barman, accompanied by the Food Corner menu made up of international cuisine classics, in a “Brasserie-Chic” styles, and signed by the Chef Fabrice de Flue. For the premiere night, we will be hosting “PokerFace”, a French duo from Lyon, playing live and jazzy versions of classic songs. Be ready to enjoy a varied programme: from jazz to soul and R’nB music. Meet us at The Celest Bar for the opening night on November, the 15th. You’ll be astonished by the amazing panoramic view over Lyon at night. Without booking, limited spaces and seats!